I hope everyone had a great weekend! I spent the weekend laying low, only going to dinner and a movie on Friday night with friends and spending the rest of my time engrossed in a new novel while watching either Food Network or reruns of various Bourne movies. That’s pretty much how I roll. Oh, and I made food. Like usual. Again, that’s how I roll. I usually scan the grocery store circulars to see what’s on sale before I decide what to make but this week, I decided to make what I was in the mood for. 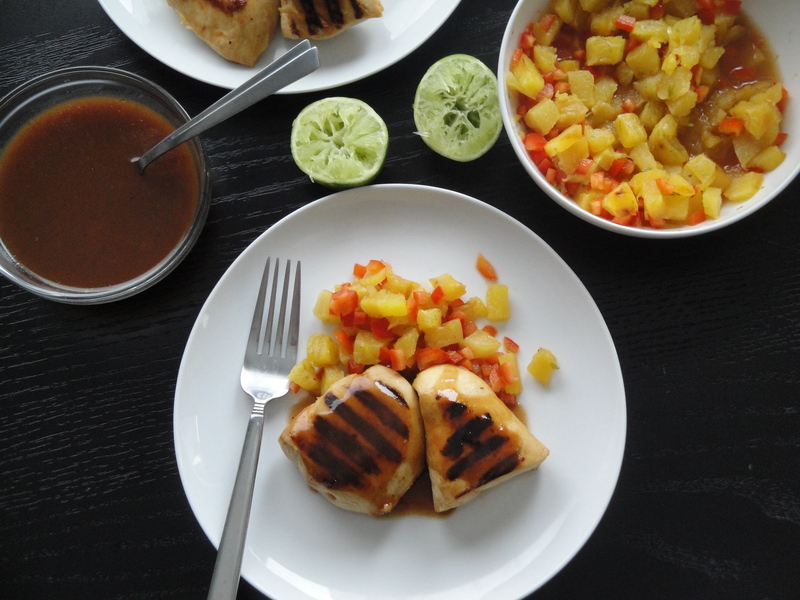 I sucked up the fact that chicken is ridiculously expensive in order to make Rum-Marinated Chicken Breasts with Pineapple Relish, a light chicken dish filled with vibrant tropical flavors. 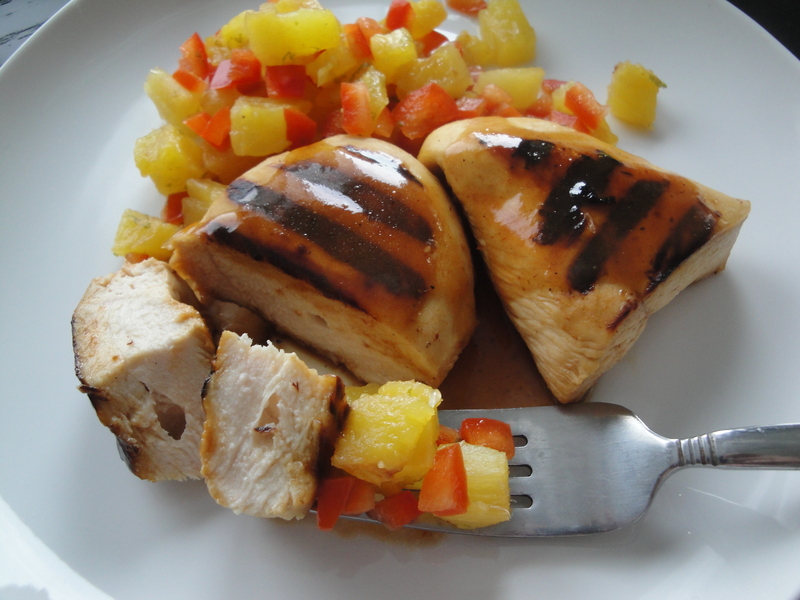 Chicken breasts are marinated in a mixture of dark rum, barbecue sauce, Caribbean hot sauce and lime juice before being grilled to perfection and topped off with a golden relish of fresh pineapple and red pepper. Never had Caribbean hot sauce? I’m no stranger to Pickapeppa Sauce (a condiment made of tomatoes, mangoes, raisins and peppers, among other things) which was introduced to me by my old roommate who would pour half a bottle over cream cheese and smear it over Triscuits. True story. There was never a shortage of Pickapeppa in my apartment. But I digress. 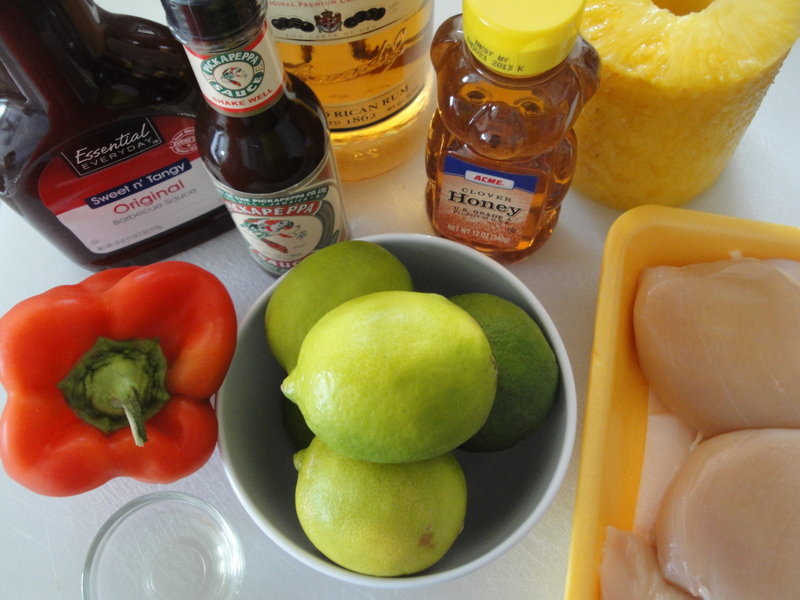 The rum marinade perfectly tenderizes the chicken and is then boiled to create a rich, silky sauce. The golden relish is tangy, slightly sweet, tart and a tasty complement to the chicken. Not a fan of pineapple’s acidity? Consider substituting any summer fruit, like mango, peach or nectarine. This is a chicken dish that I could eat, in any variation, nearly every day. 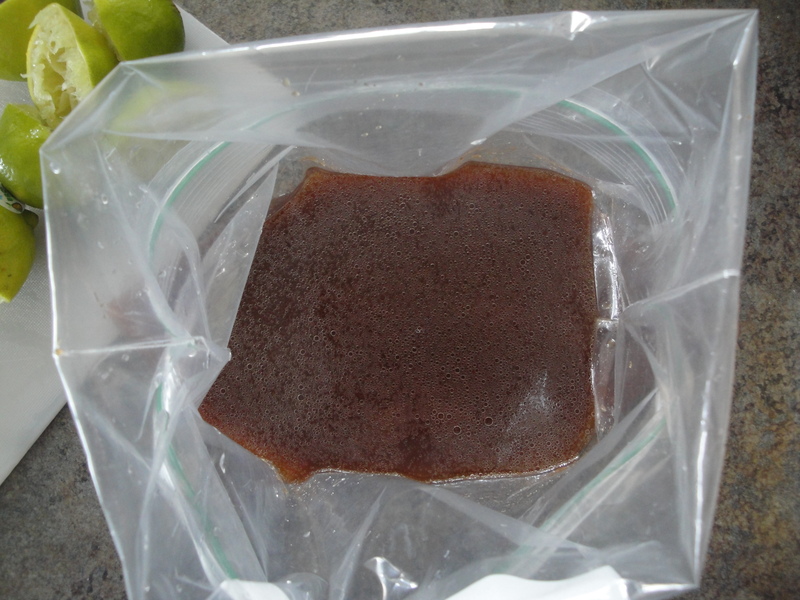 Combine dark rum, barbecue sauce, Pickapeppa sauce, lime juice, salt and vegetable oil in large zip-top plastic bag. 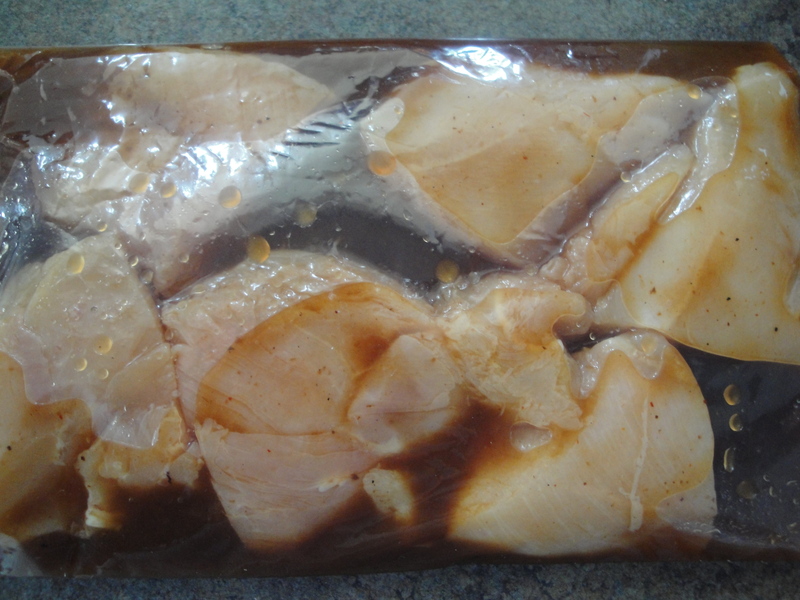 Add chicken to the bag and seal, allowing chicken to marinate in the refrigerator for 2 hours, turning bag occasionally. 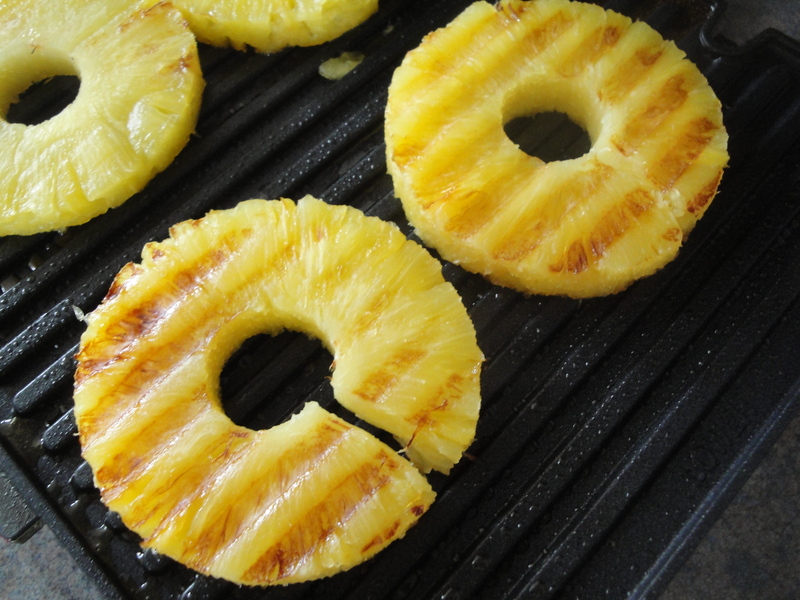 To prepare relish, place pineapple on grill rack coated with cooking spray and grill 3 minutes on each side or until soft and browned around the edge. Allow to cool slightly and chop. 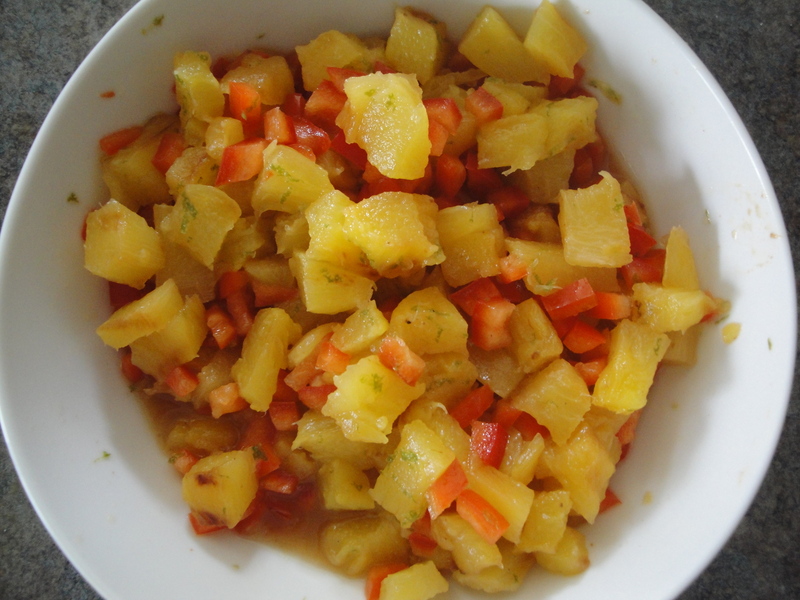 Combine pineapple, bell pepper, lime rind, lime juice, dark rum, Pickapeppa sauce and salt in a bowl and set aside. 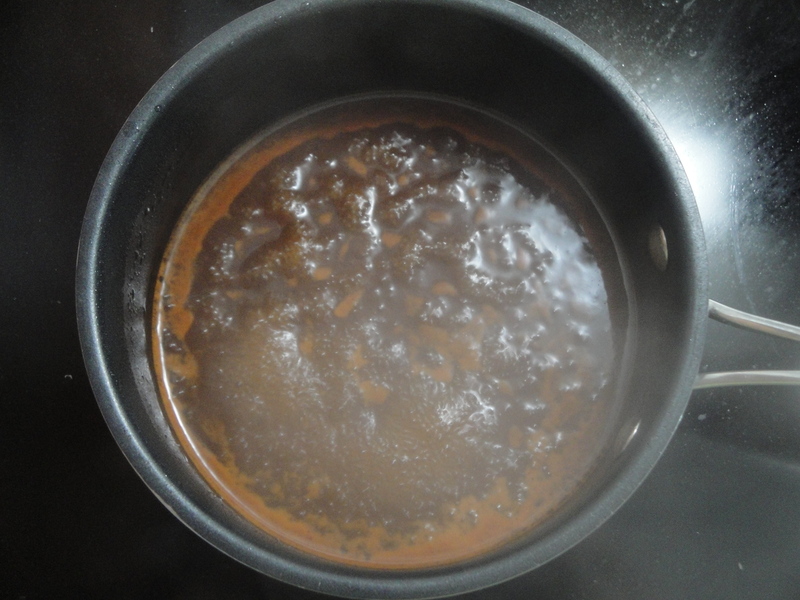 Bring reserved marinade to a boil in a small saucepan and cook 1 minute. 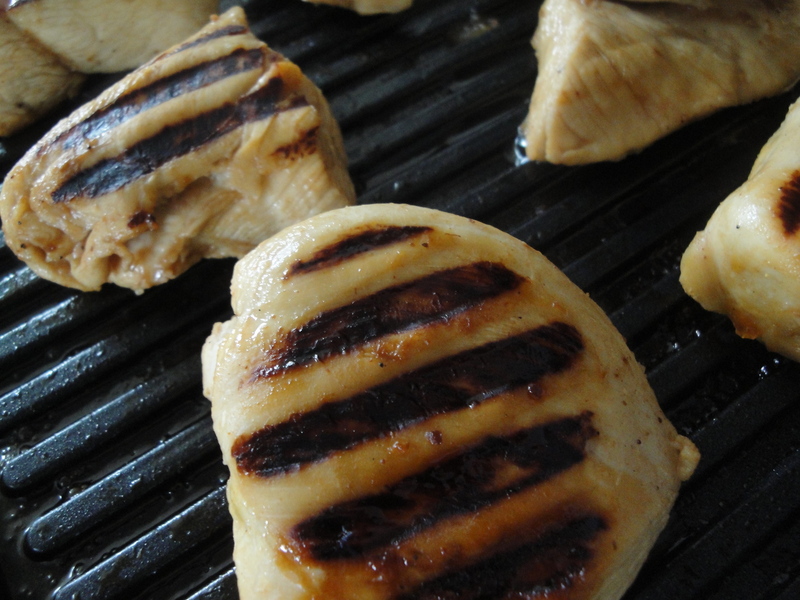 Drizzle cooked marinade over chicken. Serve chicken with relish and lime wedges.